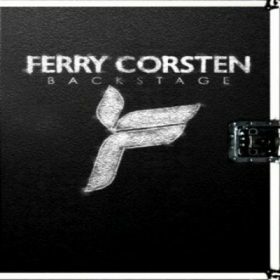 Ferry Corsten was born in Netherlands. He is a visionary producer and a pioneer dj in the dance musicgenre. He designed the Dutch trance sound in the Clubs and the culture. He started in his native Holland in 1991 when he produced the embryonic rave track ‘Spirit of Adventure’. In 1995, under the name Hole In One and aged just 21 years old, he won the prestigious De Grote Prijs van Nederland award. He has captured the hearts and minds of legions of fans and scooped some of the world’s most prestigious music prizes along the way. He’s regularly ranked as one of the top 10DJs in the world, and of late has turned to charitable activities, working with the World Wildlife Fund. He reinvented trance music in the early 90s inluenced by the music streaming in from Germany. Ferry’s remix of William Orbit’s ‘Barber’s Adagio For Strings’ became a top 5 in the UK, where his achievements were reflected by Muzik Magazine who named him as Producer of the Year at their 1999 Ericsson Muzik awards. Ferry Corsten has won various awards over the years, and has successfully produced his own massive dance events including full on ferry and his recent project twice in a blue moon: the experience. He entered DJ Magazine’s Top 100 poll in the first year of voting and, as of 2011 has enjoyed an incredible unbroken 12-year run in the chart.